Minegicka 3 Mod is the successor of Minegicka 1 and 2, but is, and will always be, bigger than both, in terms of features and performance. 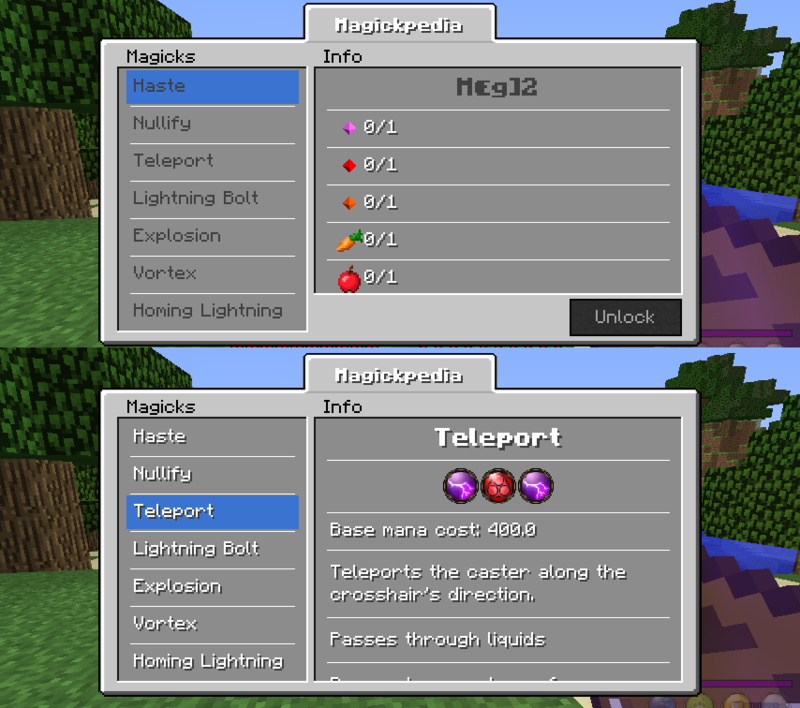 Minegicka is a mod that brings the core mechanic of Magicka – unlimited spell combination, into Minecraft along with a lot of other features exclusive to the mod. With 8 elements in Minegicka to start with, you can create more than a brazillian combination of spells, furthermoer, there are magicks that are some special element combination which have unique effects that will be useful in multiple situations throughout the game. 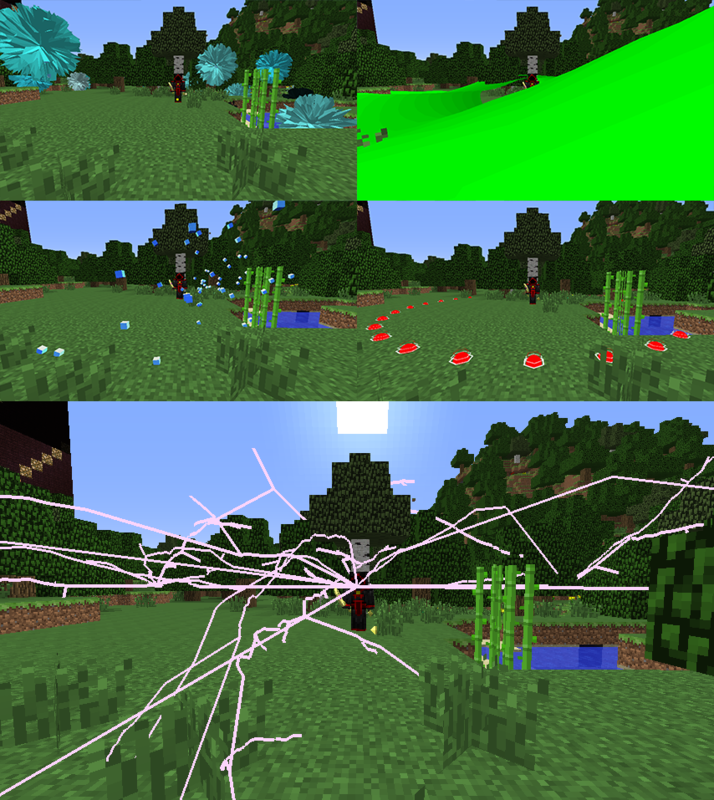 Have enough magical knowledge and you can kill the ender dragon or the wither with a single strike of magic. But that’s not all, there are a great variety of equipment to choose from, tons of staves, stacks of hat, each has it’s own effect, either defensive or offensive, some can give you resistance to lightning strikes while some can deflect arrows that shoot at you. Still the customization does not end there. Comes with Minegicka 3 is a Staff Enchanting System (SES for short) that allows every staff to be customized the way its owner wants. Increase power, lower mana consuming rate, boost life efficiency,? honestly even the sky is not the limit. If you are new to the mod, here are the things you will want to do first. Go kill some monsters, if you are lucky they will drop a Thingy, or you can go around a find some mages, strong they are, but there’s a much higher chance that you will get the item. Craft some more thingys, craft some sticks, craft a staff, wield it, and viola, you are a wizard now! Now you need to unlock elements. Gather the materials and craft the essences, consume them, there you have unlocked your first element! You don’t stop there, you craft the magickpedia, unlock the magicks, craft better staves, enchant your staff, craft a wizard hat, ready your mind and let’s set out to kill Eighty-eight Eight. Magical crafting station, staff enchanting table, magickpedia,? 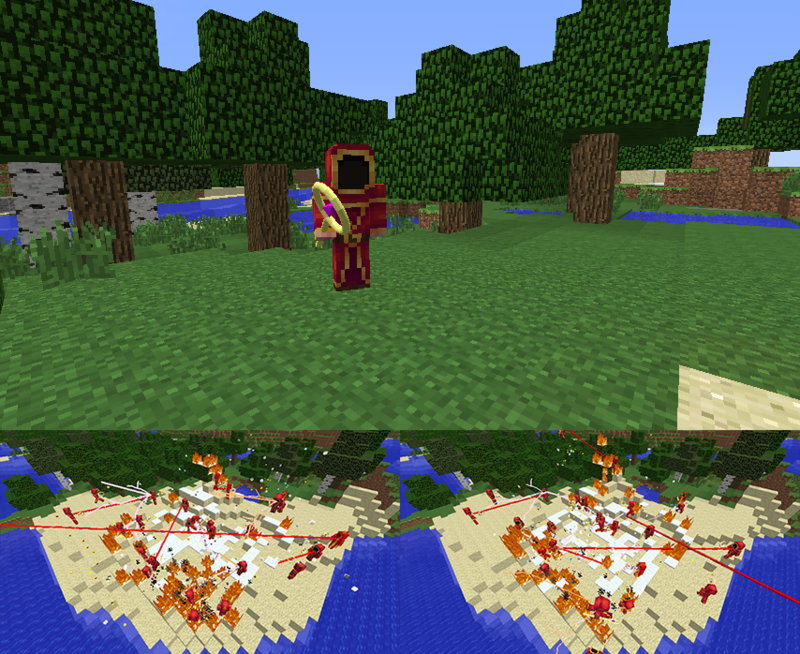 The stupid mage, who wanders around the land without exact direction. He who can use several sprays, lightning and beam spells.